At Alumni Day events. 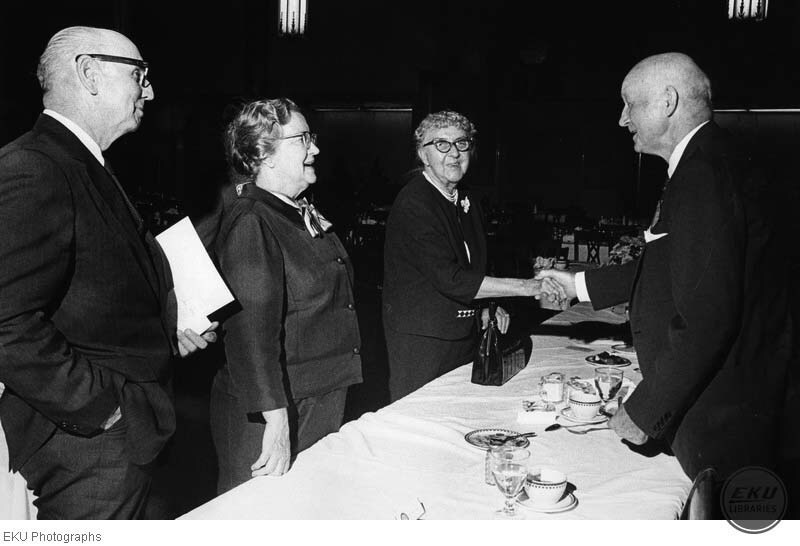 From left to right: Virgil Fryman, ?, May Phelps Mason, Clarence H. Gifford, Sr. Unknown, “Clarence H. Gifford Sr. Talking with Other EKU Alumni,” Digital Collections, accessed April 22, 2019, https://digitalcollections.eku.edu/items/show/30562.